‘Painful memories are etched in our hearts’ the President said at Valley of Slaughter in Vilnius, where the Nazis and their Lithuanian collaborators murdered some 70,000 Jews. Amid the trees of Ponar, I can hear the words of Abba Kovner echoing the cries of our murdered brothers and sisters. The city houses and the country houses. The aged man and the features of his face. The mother in her kerchief. The young girl with her braids. The child, The child, The entire assembly of Jews Brought down to slaughter on the soil of Europe By the Nazi destroyer, The man who suddenly screamed. Ponar, from where thousands of our fathers and mothers, our little boys and girls, were murdered. They will never die in our hearts. Seventy thousands of them were Jewish. Why? What for? The pastoral scenery surrounding us here is misleading. Its color remains green. But the ground is red. The screams of the victims detonating from the damp soil will remain a disgrace to humanity. Vilnius was considered the Jerusalem of Lithuania, where hopeful and vibrant Jewish communities built a life of their own. And suddenly, a third of Lithuania’s Jewish people were slaughtered in these fields. Only a mass grave remains in front of us. Innocent men and women, babies and children were stripped and then pushed and thrown to the cold bottom of this pit. Their bodies were tortured and burned at the sound of a short-range burst of fire. In the massacre valley of Ponar, there were no gas chambers. Just by pressing the trigger. History had known no such atrocities, ever. From the scorched bodies, only the spirit remained. An eternal spirit. Facing evil. Our people remained humane. The spirit of our moral call, Tikkun Olam – to better the world – was molded from the lead of the bullets. Never, not even for a moment, may we weaken in our common mission against racism, anti-Semitism and mass destruction. In Vilnius, there were 200 churches and 110 synagogues. Yet there is just one Lord in heaven. So let us pray together, let us convert sword and war into brotherhood and friendship between peoples. Let us pray for the freedom and peace of every person. For all nations. For posterity. The State of Israel is a living triumph over the horrors of the Shoah. A tribute to the hopes of six million Jews. In spite of the Holocaust, Israel is the continuation of the interrupted dreams of one-and-a-half million children murdered at the dawn of their days. We can never forget. And we shall always teach our children to withstand darkness. Lithuania has undertaken this duty with responsibility and seriousness. Madam President [Dalia Grybauskaite], we respect your efforts to memorialize and educate the youth about this shameful stain, so as never to allow it to happen again. The newly created democracy of Lithuania is based on courage and tolerance. On building a future for the free. The Lithuanian people have learned that the key to raising a new, tolerant generation is in facing the horrors of history with courage. The blood-soaking the soil of Ponar will not be atoned for until its lessons will become the legacy of humanity as a whole. Painful memories are etched in our hearts. Yet high hopes beat in our souls. On our journey from the abyss of the past to the heights of the tomorrow, we remain determined as ever, to seek justice. To pray for the future of our children. To allow them to be free. Promising both to remember the shadows of the past and the light of the future. The Lord who made peace in his Heavens will provide peace on the land. Prime Minister Benjamin Netanyahu of Israel found the name of Judith, the twin sister of his father-in-law, among the Book of Names exhibit at Auschwitz-Birkenau on Thursday. Boruch Spiegel, one of the last surviving fighters of the Warsaw ghetto uprising of 1943, in which a vastly outgunned band of 750 young Jews held off German soldiers for more than a month with crude arms and Molotov cocktails, died on May 9 in Montreal. He was 93…. SEVENTY years ago today, a group of young men and women fired the shots that began the largest single act of Jewish resistance during the Holocaust. 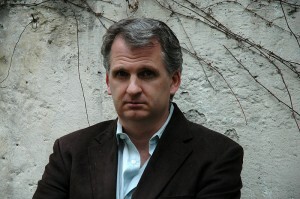 Professor Timothy Snyder of Yale University, the author of the famous (and controversial) book “Bloodlands” was brought to Lithuania last week for a symposium on the Holocaust attended also by the director of YIVO in New York. In the course of the same week, the Lithuanian government repatriated, reburied with full honors and held a series of events honoring the 1941 Nazi-puppet prime minister who signed off on the German order for all Jews in Kaunas (Kovno) to be forced into a ghetto. But these debates are inherently separate from the troubling issue on which I’m addressing you today: the ongoing instrumentalization and abuse of your important work by well-oiled government-financed ultra-nationalist and often antisemitic forces in Eastern Europe who have (wrongly) found in your work the ammunition for a discernible slide in the direction of the Double Genocide movement, which reached its zenith with the 2008 Prague Declaration (critiques here), and in the direction of positing the sort of “complexity” that is regularly invoked, particularly here in the Baltics, as euphemism for what is now called Holocaust Obfuscation. There is, alas, in nationalist and antisemitic circles in some East European states a movement to sanitize or actually glorify local Holocaust collaborators and perpetrators (who were after all, usually quite reliably “anti-Soviet” and “anti-Russian”). 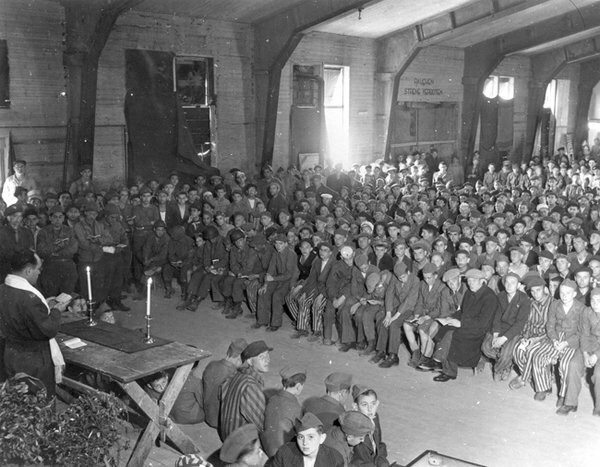 In Lithuania alone, this effort has gone hand in hand with a tragic effort to concurrently blame the victims by trying to criminalize, in the absence of any evidence, Holocaust survivors who are alive because they joined the anti-Nazi resistance. Not one of these kangaroo cases has yet led to a public apology, not even to 90 year old Dr. Rachel Margolis in Rechovot, who still dreams of one last visit to her native Vilna. As reported in DefendingHistory.com last September, a foreign-ministry hosted event in Vilnius in September 2011 included a speech by a leading local historian in which he claimed (wrongly) that your book offers support for the condemnation of Jewish partisans who fought against the Nazis. In May 2011, a historian speaking on Lithuanian radio boasted that “It’s not all hopeless” because of Bloodlands. But that episode somehow connects with this week. The same ultranationalist filmmakers recently announced their premiere on Sunday 20 May 2012 in Kaunas of a new “documentary” (promo clip here) adulating Juozas Ambrazevičius (later Brazaitis), the 1941 Nazi puppet “prime minister” in Kaunas who signed off on orders for the setting up of a concentration camp for Jews, and the requirement that “all the Jews of Kaunas” be moved within four weeks to a ghetto. It was sad that neither of you publicly condemned the Ambrazevičius-Brazaitis events during your symposium on the Holocaust in Lithuania. However, it did come up in an interviewer’s question to yourself. 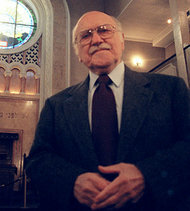 Dovid Katz was visiting professor in Judaic studies at Yale in 1989-1999. From 1999 to 2010 he was professor of Yiddish language, literature and culture at Vilnius University, Lithuania. He is based in Vilnius, where he edits wwwDefendingHistory.com. His personal website is http://www.dovidkatz.net. Holocaust survivor Henry Brysk shares a photo of his family and the story of an aunt who was killed during World War II. Photo by Chris Nelson. Victims of the Holocaust were remembered through prayer, reflection and music on April 19 at the Jewish Community Center in Ann Arbor. The memorial service, the first of its kind in the Ann Arbor area, was created by a group of Holocaust survivors as a way to keep the memory of the Holocaust alive. University of Michigan Professor of Judaic Studies, Todd Endelman, gave a keynote address about how the Holocaust is remembered and its effects, so far, on Jewish culture. Endelman said there are two factions of thought behind Holocaust remembrance. The first is that it is not talked about enough and the second is that it’s talked about too much and has morphed Jewish identity and definition into one of suffering. The effect of the Holocaust, Endelman said, might be unknown still. Regardless, Endelman said, the important thing for people to do is to be aware. The annual remembrance was observed in Poland and other nations as well, and it took on special meaning this year to historians who are trying urgently to collect the remaining testimonies of eyewitnesses as their numbers dwindle. One survivor dies in Israel every hour, according to the Foundation for the Benefit of Holocaust Survivors in Israel, a non-profit group based in Tel Aviv that helps care for needy survivors. Today, there are 198,000 survivors in Israel; 88% are 75 or older. 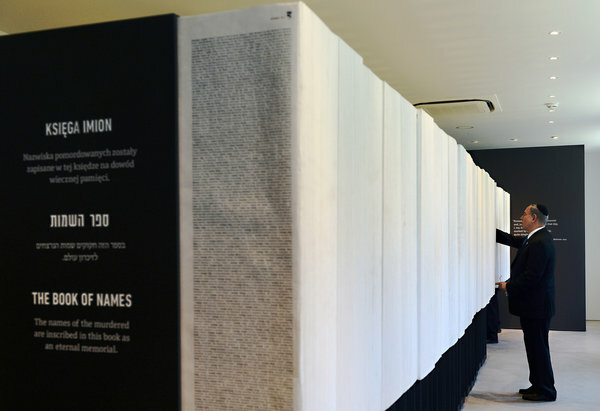 Israel’s Yad Vashem memorial contains the largest archive in the world of historic material related to the Holocaust — or Shoah, as it is known in Hebrew — and it has been intensifying its campaign to record the accounts of survivors. Teams of historians have been dispatched to interview elderly survivors in their homes and collect artifacts. “We are really racing against the clock to find every survivor and get their stories told before they die,” said Cynthia Wroclawski, manager of the Shoah Names Recovery Project. Scholarly and public discourse on the Holocaust is being over-generalized in the service of examining, for example, commonalities shared by perpetrators of genocide and mass murder or the experiences of lone individuals outside the context of their local community or larger society. “An understanding of what was lost in Jewish society and Jewish culture is hardly mentioned. It goes above murder and the motivations of the perpetrators and the suffering of individuals – which are both important aspects – but the special aspect of Jewish society and culture is of no importance for this method of interpretation. “The Holocaust has become our main anchor, the main way we understand evil,” Rozett said. “It’s the reference point for understanding man’s inhumanity to man.” Perhaps as a result, “people are using the Holocaust to frame their own tragedies” and are using the name “holocaust” to describe events such as the potato famines in 19th century Ireland, the persecution of Christians in 16th century Japan, the deaths of millions in the Soveit Union under Stalin’s regime, as well as to abortion statistics. Barbara Kirshenblatt-Gimblett has many titles: award-winning author, essayist and New York University professor, among them. Most recently, she’s been tapped to lead the core exhibition development team for the Museum of the History of Polish Jews, which is now being built on the site of the Warsaw Ghetto, and which recently made headlines with the surprise departure of its longtime director. Long associated with the YIVO Institute for Jewish Research, Kirshenblatt-Gimblett worked with Polish-born scholar Lucjan Dobroszycki on the landmark 1976 exhibition “Image Before My Eyes: A Photographic History of Jewish Life Before the Holocaust,” which later was made into a book and a film. Her latest book, “They Called Me Mayer July” (University of California Press, 2007), was a collaboration with her father, Mayer Kirshenblatt, who died in 2009 at the age of 93. It combined Kirshenblatt’s paintings depicting prewar life in his hometown of Opatow, Poland, with stories gleaned from interviews that his daughter began conducting with him in the 1960s. Since the 1950s, the so-called Night of the Murdered Poets has become a summertime ritual for Yiddish cultural circles in the United States. The gathering commemorates Stalin’s attempted deathblow to Yiddish culture: On August 12, 1952, the major group of Yiddish writers, thinkers, and critics, who were the leading activists in the wartime fight against Nazism, were shot dead, marking a bloody full-stop to a chapter of what may have been the most intense flowering of Yiddish culture in history….. The simultaneous covert embrace and public rejection of Yiddish Communist culture points at the difficulty in celebrating it. How can you celebrate poets who wrote enthusiastic odes to Stalin, or worse, denounced one another? How do you applaud the only state in the world that gave official, often generous, support to the flowering of Yiddish letters and also murdered its greatest writers? This summer, two new books examining Soviet Yiddish creativity shed light on what the Cold War obscured: one of the most productive periods in Jewish cultural history. The first, Through Soviet Jewish Eyes: Photography, War, and the Holocaust, by historian David Shneer, looks at the way Jewish photographers invented photojournalism in the USSR. The second, A Captive of the Dawn, edited by Shneer with Gennady Estraikh, Jordan Finkin, and the late Joseph Sherman, is a scholarly examination of the foremost Soviet Yiddish poet, Peretz Markish. Both books, in their own way, look at a certain “Jewish” aesthetic. Through Soviet Jewish Eyes focuses on the presence of Jews in Soviet photojournalism as a key to understanding a striking aspect of crafting Jewish history. Famed Jewish historian Yosef Hayim Yerushalmi once linked the entry of Jewish life into modernity with the Jewish drive to create history. In fact, the heavy Jewish presence in photojournalism was by no means limited to the Soviet Union, but was a global phenomenon throughout the twentieth century—think of the iconic images captured by Robert Capa and Joe Rosenthal. In the United States, this “Jewish eye” in the arts in the early twentieth century may be associated with social, often leftist, critique. In the Soviet Union, writers and photographers worked, proudly and confidently (not out of fear, as some who wish to rewrite history claim), in the service of the Soviet State. Although it may be strange to admit, Russian Jewish visual and literary artists in the wake of the October Revolution became the fledgling Soviet Union’s most eloquent advocates. Shneer’s book challenges the accepted rhetoric that came out of the Cold War’s distortions of Soviet history. In particular, Shneer examines previously neglected work to show that the often-repeated claim that the Soviet Union’s attempt to cover up Nazi atrocities is not only untrue, but completely the opposite. Jewish photojournalists in Russia were able to keep Nazi atrocities on the front page and continually emphasized the Jewish aspect of Nazi violence. A Captive of the Dawn breaks similar new ground by presenting a complete view of this complex poet, so little known outside of Russia and academic circles. When his name is evoked at the Murdered Poets events, Markish is easily flattened as a simple martyr in the Stalinist “Great Terror.” This volume tells the full story of his creativity and, in doing so, tells the story of this incredible era in Jewish culture. This year the commemorations of the murdered poets will continue as usual, but, perhaps, with a new focus. A new generation of Jews, both local Angelenos and Soviet Jewish émigrés, who have made LA their home, grew up in the age of bar mitzvah “twins,” perestroika, and the collapse of the Soviet Union. They appreciate art created in the USSR and, even, in service of the State. This generation that was offered only dissidents as Soviet Jewish heroes can now see a richer and far more complicated story of Jewish culture in Russia. This year the Los Angeles August 12th Commemoration “Words Like Sparks: Celebrating Modern Yiddish Creativity in Russia,” will be held on Sunday, August 14th at 3:00 PM at Workmen’s Circle/Arbeter Ring 1525 South Robertson Boulevard. Dr. Robert Adler Peckerar is Professor of Jewish Literature and Culture at the University of Colorado, Boulder and is the executive director of Yiddishkayt LA. Gravestones, many plundered or built over, are symbols of a forgotten group. Dvir Bar-Gal, an Israeli expatriate, works to preserve them. Since finding one for sale at a Shanghai antique shop 10 years ago, Bar-Gal, 45, has made it his mission to find the Jewish tombstones that once stood in four cemeteries belonging to the real-estate barons, bankers and penniless refugees who settled here before the Communists took power in 1949 and expelled China’s foreigners. During World War II, around 30,000 Jews fleeing Hitler found safe haven in the open port of Shanghai, where they built synagogues, Yiddish theaters and yeshivas even as the occupying Japanese forced many to live in a cramped ghetto. If the Nazis failed to wipe out these Jewish lives, China’s Communist Party succeeded in erasing their deaths. In 1958, the government relocated all foreign graves to one international cemetery, which was destroyed during the Cultural Revolution, when locals plundered the gravestones to use in construction. Although the Jewish bones are irrevocably lost, Bar-Gal, a blunt, balding man who left behind a job covering the chaos of the Israeli-Palestinian conflict to devote himself to documenting Shanghai’s Jewish history, refuses to allow the elaborately carved markers to be consigned to the trash heap. “It’s harder and harder to find them now because of all the development,” he said, pointing to new houses rising nearby. In collaboration with the Israeli consulate, Bar-Gal has so far found 105 gravestones and has created the Shanghai Jewish Memorial Project tracking down the descendants of those who died and documenting their lives. He hopes one day the gravestones will become part of a Jewish memorial in the city’s Hongkou district, which once housed the ghetto and the Ohel Moshe synagogue, now a museum of Shanghai’s Jewish refugees. But, according to Bar-Gal, the district government has denied his request, claiming the gravestones would bring bad luck. Historian Gerald Steinacher Interview: How Did So Many Nazis Escape Justice? Family Memories: 1940s-era photos of contributors Cecile Rojer Jeruchim with her siblings on right, and Luna Kaufman with her mother appear on the left. Source: The Forward, 6-13-11, issue of June 24, 2011. Cecile Rojer Jeruchim remembers the last meal she shared with her mother. It was a typical Belgian lunch of steak, mashed potatoes and Belgian endives. “I hated Belgian endives!” she recalls. It was 1943, she was 12. When a non-Jewish friend stopped by during the lunch and offered Cecile the opportunity to accompany her to voice lessons, Cecile jumped at the chance. “Not before you finish your endives, or I will save them for you for dinner,” her mother said. Choosing to put off the disliked dish for later, Cecile left with her friend. While she was gone, her parents were arrested and sent to Auschwitz, where they ultimately perished. Cecile and her sister, Anny, survived the war by hiding in a Catholic convent. “Today I often eat Belgian endives, as their subtle flavor brings me closer to my mother…,” she writes in “Recipes Remembered: A Celebration of Survival,” a new cookbook written and assembled by June Feiss Hersh in association with the Museum of Jewish Heritage — A Living Memorial to the Holocaust. It may seem strange or even perverse to link food and recipes with stories of the Holocaust, a time when there was such death, hunger and deprivation. But the women caught in these horrors often discussed food, reciting and recording recipes. The experience of starvation in camps and ghettos fortified these culinary memories, and the discussions took on profound meaning as psychological sustenance and as a connection to a Jewish, and even human, identity. This book, the third published in the United States to link recipes to stories of the Holocaust, represents an important evolution in the genre. While the first two books preserve the recipes of survivors and those who perished exactly as they were written by the original cooks, “Recipes Remembered” is the first to provide readers with tested (and, if necessary, slightly altered) recipes that can easily be re-created at home, allowing the tastes of these dishes to serve as reminders of the lives of the women and men who created them. The book has been controversial among some Holocaust scholars, many of whom argued that Mr Snyder does a disservice by comparing the crimes of the Nazis with those of the Soviet Union (something Mr Snyder discussed in an interview with The Economist when the book first came out last year). Mr Snyder was recently in Poland to promote a Polish-language edition of his book. This month his tour will take him to the Netherlands, England, Australia and Israel. In a conversation with More Intelligent Life, Mr Snyder talked about his approach to the book, which is meant to clarify some common misunderstandings about the second world war. What are some of the most common misconceptions of the history of the so-called “bloodlands”? The first is that there’s something that people think they understand and it turns out that they don’t, and that thing is the Holocaust. The reality of it is, if anything, worse than they think, much more face-to-face, much more barbaric, much more unforgettable. People think that the Holocaust is something that happened in Germany, generally to German Jews. They think it’s something that happened only in Auschwitz. They generally don’t know about any of the other death facilities besides Auschwitz; they generally don’t know that half of the Jews who were killed were shot rather than gassed. Hitler and Stalin killed virtually in the same place, and that is Ukraine, Belarus, Poland, the Baltic states, western Russia. The Holocaust happened in a place where millions and millions of people have just been killed due to the Soviet policies. And the third thing I would point to is the habit of reduction. For example an approach saying: it must have all been the Germans, or it must have all been the Soviets. Both of these systems brought tremendous death and suffering. If you want to avoid criticism then you shouldn’t be a historian, because historians are trying to understand and explain. If you’re trying to please people then you should go into the fashion business, or the candy business. You’ve lived in Eastern Europe for a while, and you have learned the languages spoken in the ‘bloodlands’. Would you say it’s much harder, or even impossible, to get to certain information if you don’t speak the local language? The question of languages is very important. If you don’t know Russian, you don’t really know what you’re missing. Imagine that you’re in a huge country house and you have keys, but your keys only open some of the rooms. You only know the part of the house that you can wander in. And you can persuade yourself that that’s the whole house, but it’s not. We can only see as much, and we can only go as far as our languages take us. I wrote this book in English, but there are very important conversations that are happening in German, Russian, Polish and so on among those historians, and the book is addressed to all of them. At a lecture at the Kosciuszko Foundation a few months ago, you said that your goal is not to compare the crimes of Hitler and Stalin. But how does one write about the casualties caused by both without forcing the reader to compare? How do you resist the urge to draw clear comparisons while writing such a book? It’s not that I’m against comparisons per se. On the contrary, I think a comparison is totally natural. It’s just that if you want to compare you have to know what it is you’re comparing. People often generate these comparisons thinking: ‘I already know about the Nazis’ or ‘I already know about the Soviets. Therefore, I know that the Nazis were worse.’ Often they don’t know a lot about the other side of the conflict. I like to think that people will read this book and then be able to make better comparisons. Westerners tend to know the history of Nazi Germany better than the history of the Soviet Union. Why is that? 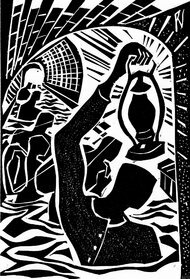 Is there more literature about the Nazi crimes than the Soviet ones in English? Something interesting happened when the cold war ended: the US stopped being so concerned about the Soviet Union. Our teachers and professors strive desperately to save something from the 20th century, and that something is the Holocaust. It’s been happening since the fall of the Soviet Union. Part of this has to do with an issue of identification. People in the West tend to identify with western victims. So even when they think about the Holocaust, they really think about the German or French victims, they’re not thinking about the Polish, Hungarian or Soviet victims. And when they think about the German crimes, they’re not thinking about the starvation of Soviet prisoners of war, which also killed 3m people; they’re not thinking about the partisan campaigns in Belarus, which no one has ever heard of, which killed hundreds of thousands of people. They’re thinking of the people they can identify with—nice, middle class, western-looking people. So it’s not that people only know about the Holocaust. It’s just that they have this very western idea of the whole tragedy. What I try to do in my book is to make the Holocaust more ‘eastern’, which it was. How did you pick the individual, personal stories that are included in the book? They are effective in giving names and faces to the otherwise inconceivable numbers of casualties. It was important to me that a book that was mainly about a tragedy on a tremendous scale be comprehensible. I did my best to explain the policies, but also to make sure the readers understood that the victims were human beings. That’s why I have the material about these individuals. It’s about life and death, and life is made of individual human beings. And the significance of death is that it ends a life. Writing a book like this you don’t want to seem too mechanical, but you also don’t want to be sentimental, and say that only because they died all these people were good. That’s not the point. I was trying to make these people real. And if you make them ideal, they’re not real. If a century seems like a long time for a culture of racism to persist, consider the findings of a recent study on the persistence of anti-Semitism in Germany: Communities that murdered their Jewish populations during the 14th-century Black Death pogroms were more likely to demonstrate a violent hatred of Jews nearly 600 years later. A culture of intolerance can be very persistent indeed…. President Obama participated in a wreath-laying ceremony at the memorial to the Warsaw Ghetto Uprising in Poland’s capital city. Obama was joined at the May 27 wreath-laying ceremony by members of the local Jewish community and Holocaust survivors. In the 1943 uprising, lightly armed Jewish fighters battled German forces trying to liquidate the ghetto for nearly a month. Politico reported that a woman attending the ceremony raised the issue of Israel with Obama, telling him, “It’s the only Jewish state we have, and we trust you,” to which the president responded, “I will always be there for Israel,” an exchange picked up by a microphone. Obama visited the ghetto uprising memorial an hour after arriving in Warsaw and shortly after participating in a wreath laying at Poland’s Tomb of the Unknown Soldier. His two-day visit to Poland marked the final stop on his European tour. A trove of papers and photographs documenting the lives of Holocaust victims and survivors includes notable names like Nobel Peace Prize winner Elie Wiesel and former Israeli Prime Minister Menachem Begin. But Benzion Baumrind’s name might have stayed forgotten to his descendants without the records kept by a humanitarian aid agency. A genealogist discovered Baumrind, one of 6 million Jews killed during the Holocaust, was in her family with one stray document buried in a database of historic papers and photos kept by the American Jewish Joint Distribution Committee. With over 500,000 names, and more than 1,000 photographs, the searchable collection documents the relief organization’s vast efforts during World War II and the postwar era in 24 countries, from China and Japan to the Dominican Republic and Bolivia. The records, being made available online for the first time on Monday, open a singular view into the lives of survivors that the JDC aided during that cataclysmic period. “We can get broader pictures of the actual everyday social life in the aftermath of war,” Kenneth Waltzer, director of the Jewish Studies Department at Michigan State University, said of the collection. Until now, the organization’s archive has been largely inaccessible to the public, kept at a private storage warehouse located a short subway ride out of Manhattan. Volunteers entered names in a database for over a year; rare, fragile documents were scanned into the computer system. Users of the site can submit names to identify people they recognize in the photographs, which may be later added to captions. The committee plans to put even more documents from its archive online later this summer. The project is one of a growing number around the world aimed at making available on the Internet primary records about the Holocaust. As millions of Israelis paused in reflection on Monday at the sound of the siren marking Holocaust Remembrance Day, the Internet here was buzzing. The first online databaseof more than half a million pieces of property lost by Holocaust victims, many in Eastern Europe, had just been uploaded as a first step toward restitution. After years of quiet diplomacy that accomplished little, organizers of the new project, financed by the Israeli government, said the idea was to harness technology in the struggle for restitution and to make as much noise as possible. The project, a nonprofit global campaign of the Jewish Agency for Israel, a quasi-governmental body, has set up offices in Milwaukee and Brussels. It was announced at a news conference in Jerusalem on Sunday, and another news conference is planned for Wednesday in New York City. In line with the open approach, donors are paying for advertisements for Project Heart over the next six weeks in Times Square.